Welcome to the MAGIP News Blog. Subscribe to the RSS feed via the link below. 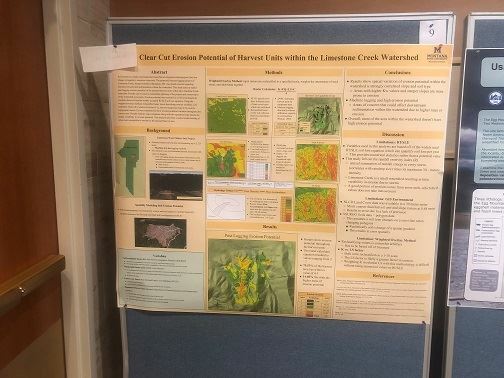 MAGIP is pleased to announce the poster winners for the annual Montana State University Earth Sciences Colloquium! Volunteers from the MAGIP community judged over 30 posters this year! Congratulations to the winning posters! Register Now for the MAGIP 2018 Big Sky GeoCon! The Workshop Schedule has been Posted! Register Now to Secure your Seat! The Conference Agenda is now available! Check out the Great Presentation Lineup! Interested in sponsoring the conference, a conference break, or a student scholarship? View the Exhibitor/Sponsor Prospectus for all the details. Please take a moment to consider all the great things MAGIP does for the Montana GIS community. We would like to encourage you to take an active role in MAGIP. One way to be involved is by being part of the MAGIP Board of Directors. We need new board members for the term starting June 2018. Please consider nominating yourself, or someone who you think would make a great addition to the board, using this survey. Professional Development Committee Chair - Appointed by Professional Development Committee to two (2) year term. Contact Jeff Hedstrom for more information. Web Subcommittee Chair - Appointed by Web Subcommittee to two (2) year term. Contact Meghan Burns for more information. Please contact current board members or the election committee (Brian Andersen, Meghan Burns, Valentijn Hoff) if you have any questions. Or see the election page and the BOD page on the MAGIP website for more information. On behalf of the MAGIP Election Committee, thank you for your consideration. Undergraduate student or a first-year graduate student at a Montana college or university in 2018 who are doing a GIS-related project or research, are eligible to receive up to $3,000 in funding through the MAGIP Higher Education GIS Scholarship. Applications are due March 30, 2018. For more information and to download the application package visit the MAGIP Scholarship page. 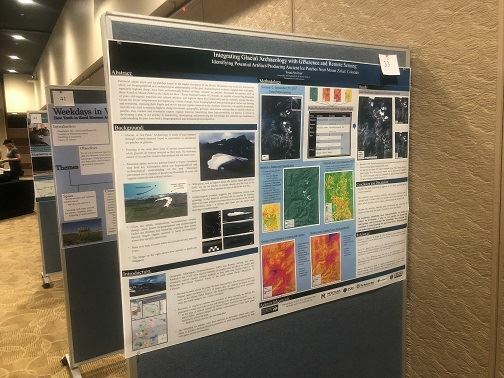 MAGIP is now accepting applications for two $1,500 grants to support the development and use of geographic location-based technologies, such as Geographic Information Systems (GIS), Global Positioning Systems (GPS), or Remote Sensing in K-12 classrooms. Eligible projects include curriculum development, training for teachers, and purchase of equipment or software that will enhance geographic instruction. Grant Applications are due March 30, 2018. Visit the K-12 Education Grant page for additional information and to download the application. Announcing the opening of the newest salary survey of GIS professionals, educators and trainers within Montana. This survey was a collaborative effort between the Professional Development Committee, Operations & Business Committee and the MAGIP Board of Directors. Please click the survey link to begin filling out the survey, it is 27 questions and will likely take between 5-8 minutes to complete. This survey is open to everyone in the Montana GIS industry. Following the closing date, the two committees will then analyze the results, provide some narrative and we plan on presenting the survey results at the upcoming 2018 Big Sky GeoCon in Helena, April 16-20. Thank you everyone and we look forward to providing the results to you all and getting some feedback. MAGIP would like to recognize two individuals who have made a significant contribution to the organization, the profession, and community in the areas of Distinguished Service and Professional Livability. The Distinguished Service Award is presented for long-term service and leadership to the Montana GIS community and the profession. The GIS Professional Livability Award is an award that recognizes an individual for a measurable contribution to the application of GIS, thus improving the quality of life within their respective community, city, or state. Each nomination requires a one-page letter of nomination, two references who also support the nomination, and any supporting documentation you may have. You can submit more than one nomination for each award. Please nominate one or more candidates that deserve this recognition! View the Map Contest Entries and Winners on the MAGIP GIS Day page. Winning maps were announced on GIS Day, Wednesday, November 15 @ 6 PM at Meetups around the state. MAGIP is now on twitter! The sole mission of the account is to showcase all things geospatial, especially when it comes to Montana! You can Follow Us @MAGIP_MT and encourage you all to do so. If you don’t have a twitter account…now would be the time to get one. If you don’t like social media….now would be the time to re-consider. And, if you are having other doubts…they are misplaced. · Time and place of great GIS events in MT and abroad!! · Happenings and updates from said events!! · What MAGIP is up to! · And so much more!! It is highly expected that you share your GIS stories with @MAGIP_MT as well! The long awaited GISP practice exam has arrived! In response to great demand, GISCI has produced its first Practice Exam, designed to provide 50 sample questions based on most of the KSAs listed in our Exam Blueprint. This is intended to aid those preparing to take the exam by giving an individual an opportunity to determine her/his knowledge of the areas tested. The practice exam is available for download here (pdf). We hope that this will be the first of several practice exams we and others in the geospatial community will be able to provide to assist exam candidates in adequately preparing to sit for the Geospatial Core Technical Knowledge Exam.